Did you know that today is National Button Day? 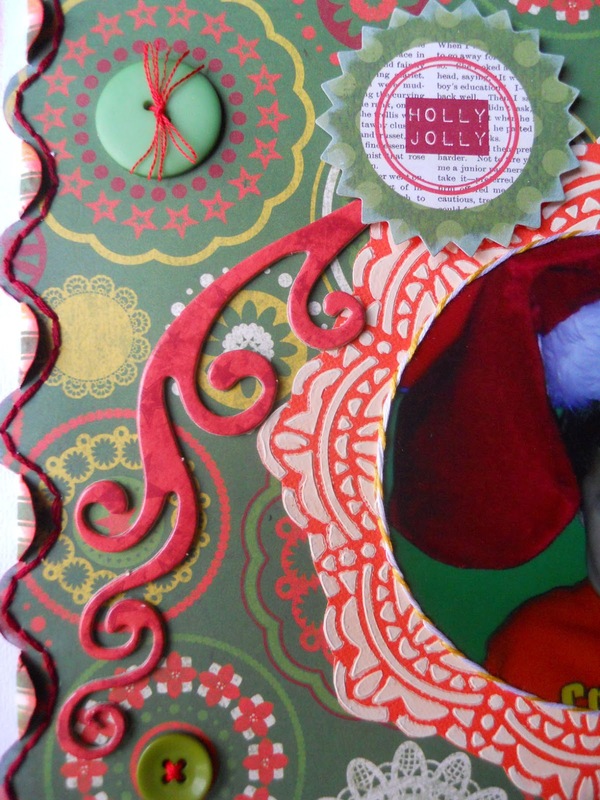 It was founded by the National Button Society in 1938, as a celebration of all who enjoyed collecting and crafting with buttons. I've been collecting buttons longer than I've been scrapping, as I used to be a seamstress, and have a huge collection that also includes jars and boxes of buttons that I've inherited over the years. But that doesn't stop me from buying and collecting new ones, and Bo Bunny Buttons are my favorite! 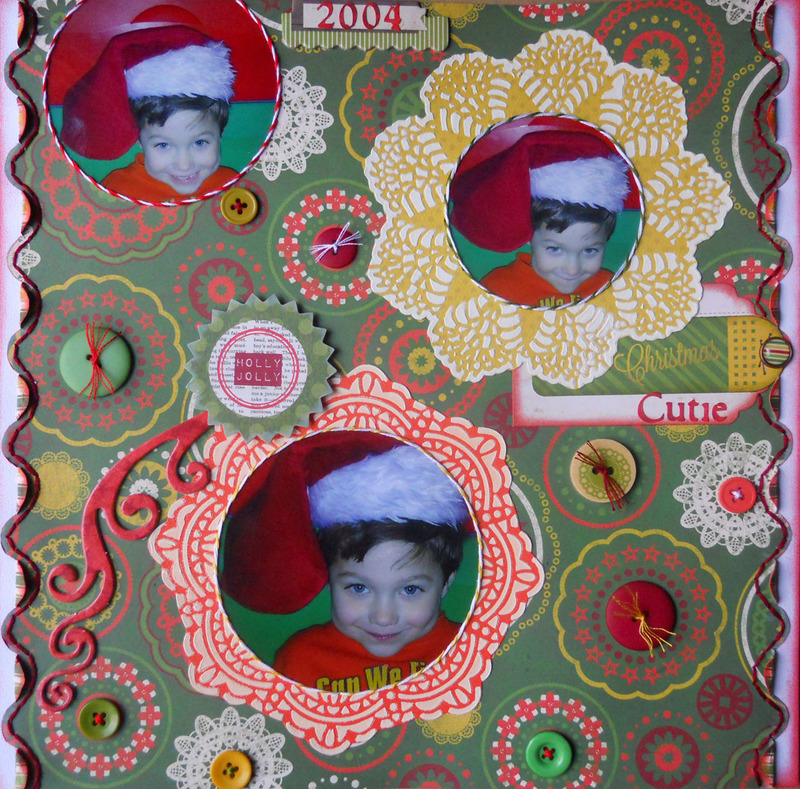 So I created this page using Bo Bunny's Christmas Collage Papers to showcase these festive Buttons, along with some included in the Ephemera. I always stitch my buttons, and hand-stitched along the sides, and around the photos of my son when he was just three years old. 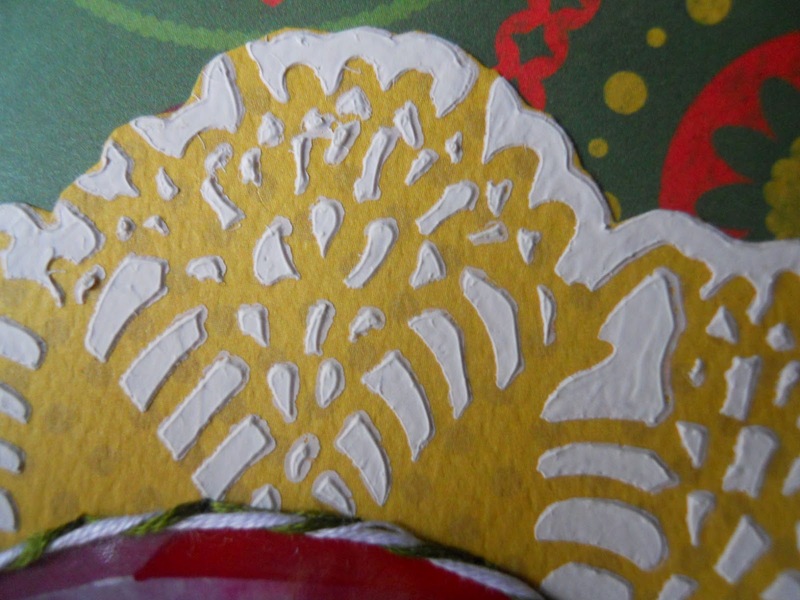 The doilies were masked with Bo Bunny White Gesso, and the yellow one was done using Prima's Lace Doily #3 Stencil. I popped up the "Holly Jolly" piece from the Noteworthy, after inking the edges with Picket Fence Distress Ink, with the Chipboard flourish peeking out beneath it. The edges of the title tag were inked with Abandoned Coral Distress Ink, along with the sides of my page, and finished with a Brad. 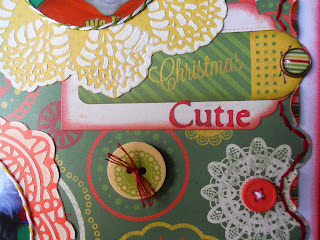 Thanks for looking, and click here for some more buttons from FotoBella! Happy National Button Day!